The Rubens at the Palace hotel in London is famous for its four star luxury, so if you're looking for a wonderfully indulgent activity, whether to enjoy yourself or to give to a loved one as a unique and unforgettable experience gift, look no further than this fabulous afternoon tea treat. Afternoon tea is one of those great British traditions that are often overlooked in our busy modern lives - but this is your chance to sit back and relax in the magnificent surroundings of The Rubens at the Palace and savour this culinary adventure ... which really is the best afternoon tea in London! On arrival at the hotel you will be greeted by the friendly staff and taken to the stunning Palace Lounge which overlooks the Royal Mews of Buckingham Palace, so you can be assured of spectacular views as you eat. The hotel's pastry kitchen produces sweet and savoury treats inspired by Royal events such as jam pennies loved by the Queen, red velvet cupcakes honouring Colonel Thomas Blood, and chocolate mousse and chocolate biscuit cake which are firm favourites of Prince William and Prince Harry. This is a wonderful afternoon experience that will leave you feeling like real royalty; the perfect break from a day of London sightseeing, this exceptional afternoon tea also makes an extra special experience gift for anyone looking for a bit of indulgence. The Champagne Afternoon Tea at Rubens at the Palace Hotel is available throughout the year from 14:00 - 16:30 on Monday to Friday, and 13:00 - 17:00 on Saturday and Sunday. Subject to availability. The Luxurious Afternoon Tea at Rubens at the Palace Hotel, London is suitable for all people, whatever the age or dietary requirements. If you have any special dietary requirements (vegetarian, gluten free, dairy free, egg free etc) the hotel are more than happy to make sure your afternoon tea suits your needs. For those with a nut allergy, please be aware that all food is produced in an environment where nuts are used and so they cannot guarantee that food is 100% free from nut traces. The Luxurious Afternoon Tea at Rubens at the Palace Hotel, London will last from 14:00 - 16:30 pm on Monday to Friday, and from 13:00 - 16:30 pm from Saturday to Sunday. 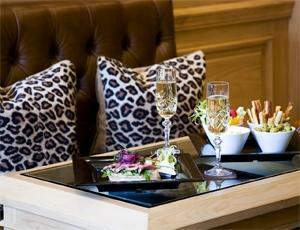 Participants: The Luxurious Afternoon Tea For 2 at Rubens Hotel, London is for 2 participants. 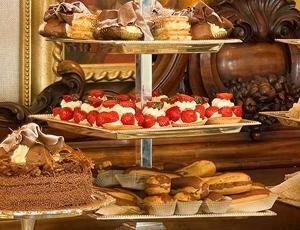 The Luxurious Afternoon Tea at Rubens at the Palace Hotel, London is not suitable for spectators. If you would like to make a booking for a group of 8 people or more, please let the hotel know this when booking, as the set-up and service is slightly different. The dress code for The Palace Lounge is ‘smart casual’. The Hotel respectfully asks guests to refrain from wearing sportswear, jeans and trainers in the restaurant. The Luxurious Afternoon Tea at Rubens at the Palace Hotel, London is not affected by the weather. The hotel is stunning and the location is fab but what let it down was being put in the window facing outwards on a sofa and the fact that you can't choose your sandwiches, we also weren't given the option of having more (unlike the table next to us that was paying) although there was only two out of the five finger sandwiches that I liked, and as they were busy we were only allowed to stay 1.5 hours instead of the 2 hours given. We had a lovely time at the Rubens Hotel and the 'tea' was delicious. The staff couldn't have been more helpful but the tables were too low. This was my first afternoon tea experience and it was great! The staff at Rubens Hotel were very friendly and accommodating. There was a nice selection of traditional sandwiches and teas. The scones were absolutely delicious and my favorite part. (I enjoyed the cakes as well.) All in all, it was a wonderful afternoon. Highly recommended. Everything was great from start to finish. We arrived early so sat in the bar and had coffee. The staff couldn't have been nicer and when the tea arrived there was so much food that we couldn't finish it between two of us - and we tried! Definitely recommend. Excellent service, food and setting. We were greeted by friendly and helpful staff who then presented us with a glass of champagne each, a very nice touch. There was also an excellent selection of teas, coffee and soft drinks, which were refilled multiple times. The afternoon tea itself was delicious, consisting of a variety of finger sandwiches, plain and fruit scones with clotted cream and jam and a selection of cakes/tarts/pastries. Overall a very enjoyable experience. The only issue we encountered was the booking process. I originally sent an email but got no reply.Therefore I phoned to book, but never received the promised confirmation email. 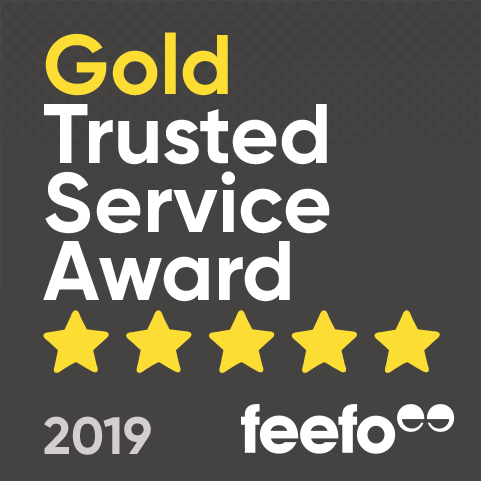 I rang up again on the day to check that all was okay, the staff were unhelpful and didn't seem to know anything, so I had to make a completely new booking. Excellent afternoon with wonderful sandwiches, cakes, scones etc, plus tea and first-class service from staff. 1) Please explain your journey as ‘Rubens Hotel’ so far. I have been with The Rubens Hotel now since December 2011 after I transferred from our sister property in South Africa; The Oyster Box. I have moved through the departments of Front Desk to Night Management and then found my place here in the sales department. I have worked with Red Carnation Hotels for four years now and they truly are an exceptional company who provide hospitality the way it should be: personal, memorable and with a wonderful attention. No two days are the same and each presents new possibilities and challenges. You get to meet and interact with so many different guests from all corners of the globe, each one having their own journey and story to tell. The Rubens at the Palace really is a special gem which exudes British charm and could not be better located. The Royal Mews of Buckingham Palace greets you every morning with Her Majesty’s cavalry often trotting past on their morning stroll. We are also within walking distance of so many great London landmarks and sights as well as having two West End Theatres on our doorstep. Red Carnations Hotels has also been voted as number 26 in the Top 100 Companies to work for by The Sunday Times, jumping up 45 placements since 2012. Earlier this year Red Carnation Hotels featured on The Intern on Channel 4 where The Milestone Hotel undertook the eventful task of finding a new intern under the watchful eye of our Managing Director; Mr Jonathan Raggett and TV Personality and award winning Businesswomen Hilary Devey. Hotel 41 which is situated next door to The Rubens at the Palace Hotel has just won The Catey award for Hotel of the Year 2013. We continue to hold top placements on TripAdvisor which comes directly from the comments of our guests. For our Traditional Afternoon Tea I would recommend allowing at least an hour and a half to enjoy the full experience. All our sandwiches and pastries and made fresh daily by our Chef Danielle. The homemade scones happen to be my favourite as they are the perfect accompaniment to a nice cup of tea whilst overlooking the Royal Mews. I was amazed to find out about the history behind Afternoon Tea when it started in the 19th Century by Anna, the 7th Duchess of Bedford. London has so much history and tradition and this is something I get to feel and experience every day at The Rubens at the Palace. The industry is constantly changing which is both daunting and very exciting. Food trends and travel patterns continue to influence and evolve the hospitality industry. Whilst we like to keep our finger on the pulse with prominent trends, our core identity remains stable. Our high level of service remains at the forefront of everything we do. Afternoon Tea especially seems to be gaining in momentum year on year, but it is always nice to see the good reviews from our guests. For more information on the experiences we offer at Rubens Hotel, read our blog post here. Rubens Champagne Bar Hire at Buckingham Palace. Luxurious Afternoon Tea at Rubens Hotel.